2-1-NE 6 (9:28) D.Freeman up the middle to NE 9 for -3 yards (E.Rowe; R.Ninkovich). 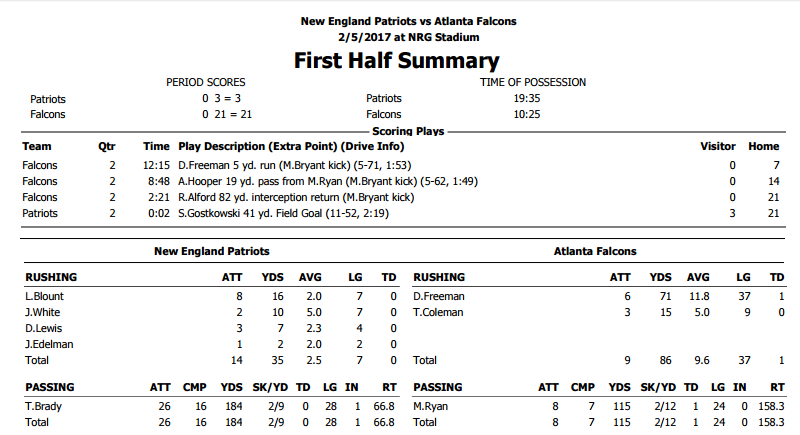 2-1-NE 32 (1:30) T.Coleman left tackle to NE 33 for -1 yards (T.Flowers).PENALTY on ATL-J.Matthews, Offensive Holding, 10 yards, enforced at NE 32 - No Play. 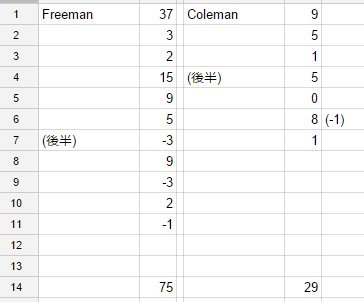 1-10-NE 22 (4:40) D.Freeman left end to NE 23 for -1 yards (D.McCourty). 2-11-NE 23 (3:56) (Shotgun) M.Ryan sacked at NE 35 for -12 yards (T.Flowers). Timeout #1 by NE at 03:50. 3-23-NE 35 (3:50) (Shotgun) M.Ryan pass short left to M.Sanu pushed ob at NE 26 for 9 yards (L.Ryan). 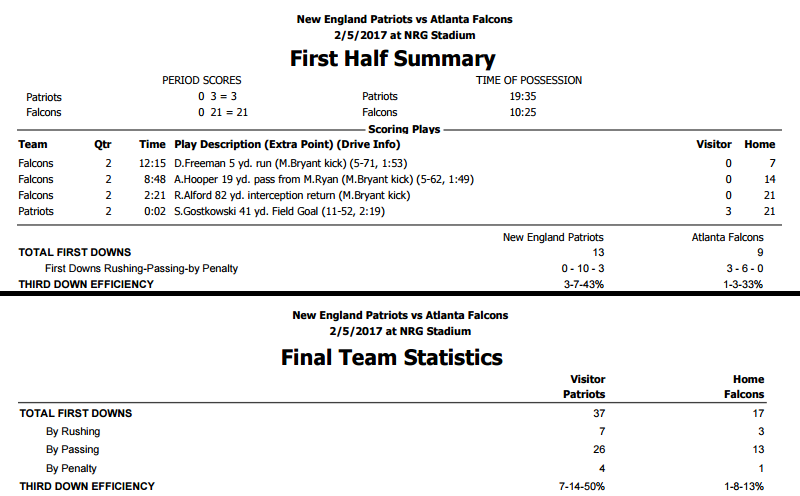 PENALTY on ATL-J.Matthews, Offensive Holding, 10 yards, enforced at NE 35 - No Play. 3-33-NE 45 (3:44) (Shotgun) M.Ryan pass incomplete short left to T.Gabriel.